After much thought, I have decided to create a series of courses in mental health. In essence, my partner psychotherapist Marianne Murphy and I are creating a mental health school, a Mental Health Academy. Marianne and I will work together to create and deliver these courses. This Academy will be designed for online participation. Our courses will be available online. We will also be running courses at various venues. These courses will cover a wide range of topics. In these courses we will set out a comprehensive understanding of psychiatric diagnoses like depression, bipolar disorder, schizophrenia, OCD, eating disorders and personality disorders. We will also address anxiety, suicide, self-esteem and many other emotional and mental health issues. These courses will address a glaring gap in understanding of and training in mental health – the gap in understanding of the emotional and psychological aspects of mental health, including the range psychiatric diagnoses. A clear understanding of the medical approach to these diagnoses will also be a core part of these courses. These course will reflect what I have learned through 30 years of involvement in mental health. including 3 years (2003-6) on the Expert Group on Mental Health Policy which formulated “A Vision for Change”, Ireland’s official mental health policy document; 25 years researching emotional and mental health, including psychiatric diagnoses; 15 years providing a recovery-oriented mental health service; 3 decades of seeking to deepen my understanding of emotional and mental health; 3 books on mental health including 1 best-seller, many more to come; 3 decades of working with people in great distress and learning from every one; twenty years of connection with some of the most inspiring people in mental health globally; and what I have experienced and learned in my own journey through the twists and turns of my life. And from this breadth of knowledge and experience, these courses will be created. Our courses will be specially constructed for different audiences including therapists and other mental health professionals, people who have received a psychiatric diagnosis, and other interested people including family members and others who for their own reasons wish to increase their understanding of emotional and mental health and psychiatric diagnoses. We are currently working on our first course, working title “Depression training for people who work in mental health”. This course will help those who work in either a professional or voluntary capacity (including trainees) with people diagnosed with depression to understand depression more deeply and to respond more effectively and with greater confidence. I expect this course to be available in about 3 months or less. Further courses will be created on an ongoing basis. Marianne and I are very excited about this new development. I envisage the development and delivery of these courses becoming a core part of my work into the future. One chapter from Selfhood: A Key to the Recovery of Emotional Wellbeing, Mental Health and the Prevention of Mental Health Problems, 2011, chapter title: “Boundaries and personal space”. 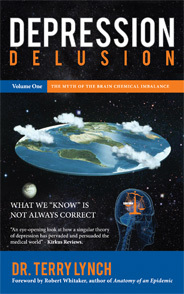 One chapter from my latest book Depression Delusion Volume One: The Myth of the Brain Chemical Imbalance, 2015, chapter title: “The medical profession and the brain”. Our intention is to create comprehensive courses in which the needs of participants will be addressed. If you have ideas regarding what you would like these courses to cover, please feel free to contact me and let me know, at info@doctorterrylynch.com . While we will endeavour to cover all bases, we would love to hear your ideas, just to ensure we don’t leave out any important material. Please share this information with anyone you think would like to know about it. This entry was posted in Blog, News and tagged anorexia, antidepressants, anxiety, bipolar disorder, counseling, counselling, depression, Depression training, Dr. Terry Lynch, eating disorders, Marianne Murphy, mental disorders, mental health, Mental Health Academy, mental health courses, mental health recovery, mental illness, obsessive compulsive disorder (OCD), psychiatry, psychotherapy, self-esteem, suicide, therapy on 18th November 2015 by drterry. In its 60th year, the Cork Film Festival runs from Nov 6th to Nov 15th. The organisers have not forgotten mental health. In fact, the festival explicitly recognises the importance of mental health under the category “Illuminate”, which also features as a main tab on the festival’s website. Three films feature in the Illuminate section of the Cork Film Festival this year. Emotional and mental issues and the dilemmas and challenges involved feature as important themes in each film. These will be screened towards the end of the festival, on the 12th, 13th, 14th Nov.
Great to see mental health respected and involved in this manner at the Cork Film Festival. I would encourage people to vote with their feet and support such initiatives. The more such initiatives are actively supported, the stronger the winds of progress and change in mental health become. 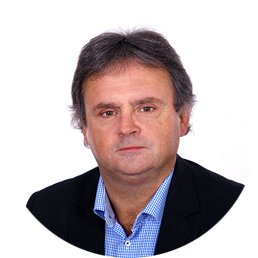 This entry was posted in Blog, News and tagged anxiety, Cork Film Festival, depression, Dr. Pat Bracken, Dr. Terry Lynch, Hedi Schneider is Stuck, mental disorders, mental health, mental health recovery, mental illness, panic attacks, psychiatric drugs, psychiatry, psychotherapy, suicide on 4th November 2015 by drterry.